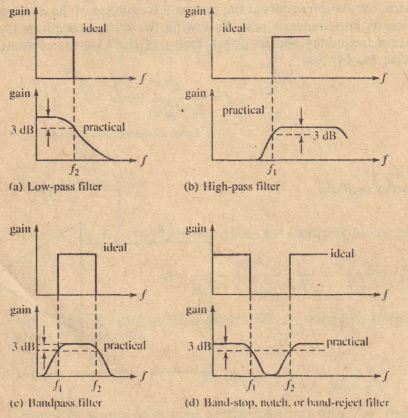 A filter is a device that allows signals having frequencies in a certain range to pass through it while attenuating all other signals. An idell/filter has identical gain at all frequencies in its passband and zero gain at all frequencies outside its passband. 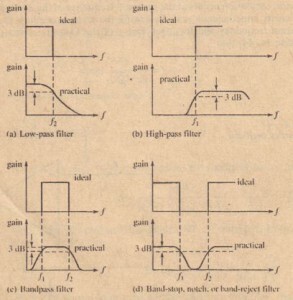 Figure 14-48 shows the ideal frequency response for each of several commonly used filter types, along with typical responses for practical filters of the same t) pes. In each case, cutoff frequencies arc shown to be those frequencies at which the response is down 3 dB from its maximum value in the passband. Filters arc widely used to “extract” desired frequency components from complex signats amHof reject undesired ones, such as noise. 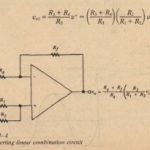 Passive filters are those constructed with resistors, capacitors, and inductors, while active filters employ active components such as transistors and operational amplifiers, along with resistor-capacitor networks. Inductors arc rarely used with active filters, because of their bulk, expense, .and lack of availability in a wide range of values. 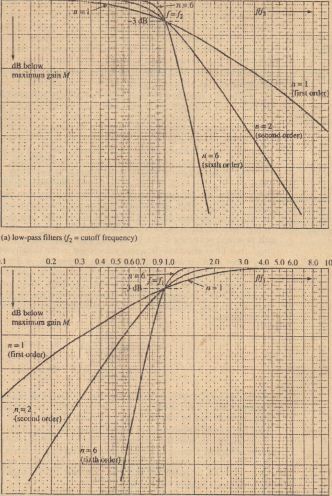 frequencies in its passband and may therefore have a value of M greater than I. 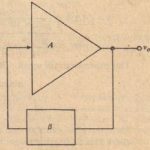 The Butterworth filter is also called a niaximally flat filter, because there is relatively little variation in the gain of signals having different frequencies within its passband. For a given order, the Chcbyshev filter has greater variation in the passband than the Butterworth design, but falls off at a faster rate outside the passband. Figure 14-50 shows a typical Chcbyshev frequenc), response. Note that the cutoff frequency for this filter is defined to be the frequency at the point of intersection of the response curve and a line drawn tangent to the lowest gain in the passband. The ripple width (RW) is the total variation in gain within the passband, usually expressed in decibels. A Chebyshev filter can be designed to have a small ripple width, but at the expense of less attenuation outside the passband. 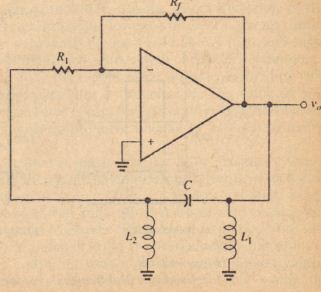 A Chebyshev filter of the same order as a Butterworth filter has a frequency response closer to the ideal filter outside the passband, while the Butterworth is closer to id,,,.1 “,i,!. :n tuc :,””,<;b;.nrl TI i” f:ld is illustrated ill Figure 14-51, which compares the responses of second-order, low-pass Butterworth and Ch,:I)~O”h(!v filters hav ing the same cutoff frequency. Note that both filters have responses asymptotic to 40 dls/dccade outside the passband, but at any specific frequency beyond cutoff, the Chebyshev shows greater attenuation .1, .. ” d,o. : Butterworth. 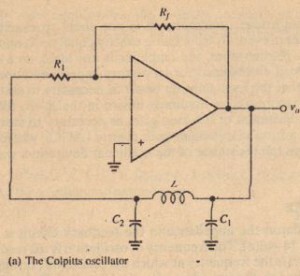 A bandpass filter is characterized by a quantity called its (! (ongin:!~il’!? from “quality” factor), which is a measure of how rapidly its gain changes at frequencies outside its pass band. Q is defined by where fo is the frequency in the passband where the gain is maximum, and BW is the bandwidth measured between the frequencies where the gain is 3 dB down from its maximum value. J.. is often called the center frequency because, for many high-Q filters (Q 2:: 10), it is very nearly in the center of the passband. 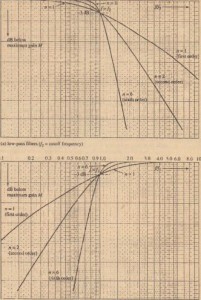 Figure 14-52 shows the frequency responses of two bandpass filters having the same maximum gain but different values of Q. 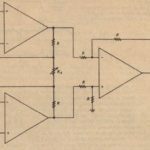 It is clear that the high-Q filter has a narrower bandwidth and that its response ralls off faster on either side or the passband than that of the low-Q filter. where /1 and [: arc the lower and upper cutoff frequencies. As previously mentioned, j;, is very nearly midway between the cutoff frequencies (the arithmetic mean) in high-Q fillers.